The Vedic Astrology which is also known as the Indian Astrology or Hindu Astrology, traces its origins to the fifth millennium B.C.E., and achieved magnificent developments and refinements during the lifetime of Parashara Muni (around 1500 B.C.E.) and many subsequent astrologers. Maharishi Parashara is regarded as being one of the first astrologers in the whole world, who had cast the birth horoscopes of individuals. He had also been rather renowned for having made successful and ingenious applications of Indian astrology to health and longevity of people. Since that time, Indian astrology has been constantly being improved and used for generating life's predictions, and in the 1970s it gained notable prominence in America and eventually all across the world as Vedic Astrology. 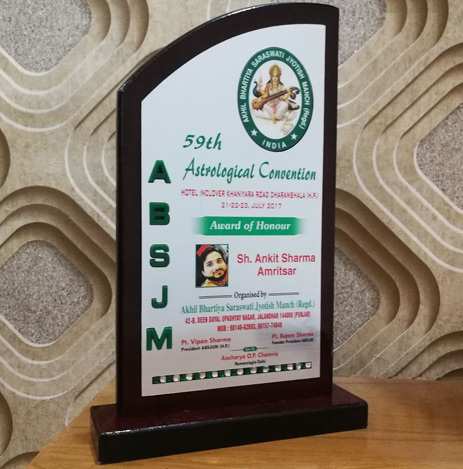 Again, despite regular objections and rejections from the community of erstwhile and contemporary scientists, this vedic astrology has been prospering steadily in India and abroad. This brief reasoning emphasizes strongly that astrology (Vedic or Western) is at least not false or futile, but is quite relevant always. More information about 'how does astrology work?' is provided in the section below. Today's Vedic Astrology is much developed and the Vedic astrologers believe and emphasize that through rich and mature knowledge of astrology, almost all troubles and problems of life can be explained, cured or solved, or eliminated. Despite constant presence of complaints and contemptuous guffaws of scientific orthodoxy by scientists of the world over, astrologers strongly state thatastrology is factual and inarguably true, all-revealing, applicable to everything of life including the past lives, and thus, is like a great boon for making life hassle-free, peaceful, and successful. Few bold and reflective statements made from time to time by astrologers and astrological researchers of the world over on relevance and significance of astrology are provided below for further elucidation on whether astrology is true or false, especially to the novices. In general, the Vedic as well as Western astrologers enlighten that astrology empowers individuals through offering precious and elusive information about their strengths, weaknesses, and specific potentials, which they may develop and utilize for making their respective life peaceful, successful, and satisfyingly happy. 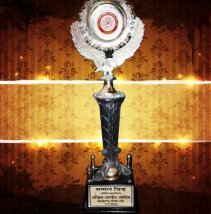 Also, as far as India is concerned, today (after 2014 onwards) many Indian universities conduct courses in Vedic Astrology (JyotirVigyan) after approval from UGC, Ministry of HRD, and the Supreme Court of India; and there is a movement in progress to set up a national Vedic University for teaching astrology together with tantra, mantra, and yoga. Before explaining how astrology works, let me give some fundamental information about the astrology, its elements, and its importance. Astrology (in Indian context, Jyotisha, meaning 'the shinning world of light') is the study of the movement of celestial bodies with respect to the supposed influences of those on human thoughts and deeds, and also on the whole earthly environment. The Birth Chart or Natal Chart is the main means for making various astrology predictions. Broadly, Vedic astrology is primarily based on the celestial bodies of only 9 visible Planets (ignoring Uranus, Neptune, and Pluto), 12 Zodiac Signs, and 27 fixed Stars called Constellations (Nakshatras). The vedic astrology relies more on the sidereal positions of the planets; while the Western astrologers base their Zodiac on the Equinoxes. Thus, the system and technique of calculations are the thing that differ Vedic astrology from Western astrology. "A child is born on that day and at that hour when the celestial rays are in mathematical harmony with his individual karma. His horoscope is a portrait revealing his unalterable past and its future results..."
Why Astrologer Ankit Sharma ji is Best Astrologer for Solving my Problems by Astrology? 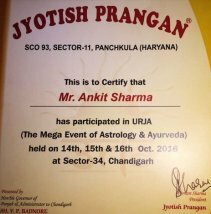 Now, this section is going to answer your question "why astrologer ankitsharma ji is best astrologer for solving my problems by astrology? ", for the possible benefits to the troubled or frustrated people of the world over. The bulk of his enthusiastic clients and satisfied beneficiaries reside in the continents of Asia, Europe, North America, and Australia. Relationships with Familial Members, Friends, Neighbors, Relatives, Business Alliances, etc. And, other spheres of life of a person. 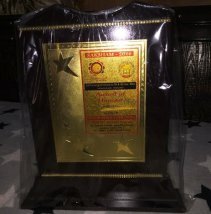 Outstanding and readily enticing qualities of his astrology solutions are the following ---- utmost and fast efficacy, generously lenient service charges, minimal chances of any side or ill effects in future, solution forever, availability of solutions for even complicated or chronic problems, and benefits boosted by his affluent expertise and global reputation.